WORLD electronics Gets a New Look! WORLD Electronics is your one stop shop for engineering, prototyping, and manufacturing. Expect nothing short of excellence, and a great deal of experience. This is quality. Our mechanical assembly team provides value added services for customers who prefer to have WORLD electronics incorporate their completed PCB into final packaging. WORLD electronics can help original equipment manufacturers (OEMs) achieve rapid and cost-effective compliance with global environmental protection initiatives including the European Union’s (EU’s) RoHS (the Restriction of the Use of Certain Hazardous Substances) directive. At WORLD electronics, we use our substantial connections with our procurement partners to achieve the best deal for our clients. View our literature downloads here. The initial goal of our NPI team is to examine the product documentation to ensure any potential obstacles are discovered and resolved prior to production. At WORLD electronics, we realize that once our circuit boards have been sent out into the world for customers to enjoy, our service does not end. Assembling a product is one thing, but a fully assembled PCB is nothing without a programmed microcontroller that can direct what the product is supposed to do. The insertion of pins into printed circuit boards was long a laborious but necessary task and one which demanded a significant investment of both time and resources. It is critical for our customers to locate product flaws before their circuit boards reach the market. Automated optical inspection, or AOI, is an advanced form of quality control and diagnostic technology available to WORLD electronics. WORLD electronics offers complete turnkey PCB services and box builds for low to medium volume, high mix production. WORLD ensures total customer satisfaction. Our 6 independent surface mount lines are ideally suited to efficiently manufacture a wide range of assemblies within varying ranges of complexity. At WORLD electronics, our success only goes as far as the expertise of our engineers. Our team of multi-disciplined engineers assists customers in the development of new printed circuit board designs to optimize quality, manufacturability (DFM) and testability of electronic components. WORLD electronics is dedicated to quality. This quality is what underpins our commitment to thorough testing. Our engineers can develop a set of tests that ensure reliability and high performance in all products. WORLD’s test engineering team supports our customer in two ways: by analyzing the existing test strategy and by providing economic solutions within the performance criteria. At WORLD electronics, we pride ourselves on our extensive product engineering capabilities that range from concept development and feasibility studies through prototype, pilot and scaled test equipment development with a focus on design for manufacturability. Supply chain management has crossed over from being a narrow management function to being a key operational function. Success now hinges on a different set of criteria, where each company is racing to get the right product to the right place at the right time—and at the right cost. WORLD electronics has an extensive range of test equipment, software and fixtures. Working from pre-design through final inspection, providing test engineering and solutions to meet our customers needs. Circuit Board In-Circuit Testing (ICT) fixtures are implemented and supported during electronic circuit board manufacturing. 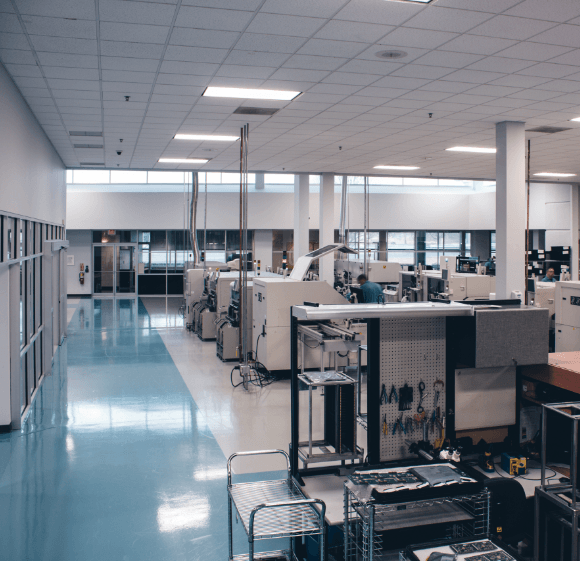 As a full test service provider, WORLD electronics can improve an existing test system or design new test solutions to meet a specified test strategy. It is critical for our customers to locate product flaws before their their circuit boards reach market.